He studied architecture at ETSAM Madrid and currently operates an active international architecture practice in different countries around the world. With a strong interest in the evolution of the architectural fabric of the city and the environmental impact and care, he has received some of the best certificates in sustainable design and some of the world highest honours including, MIPIM Award to the “Best office building in the world”, International Design Award from the Architecture Biennial of Argentina or the American Architecture Award from the Chicago Athenaeum (USA). 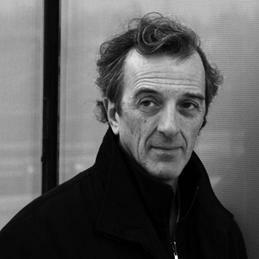 Patron of the Contemporary Architecture Foundation and Editorial Board member of Serbian magazine The New ARCH, he has been invited as jury or to lecture in different places and universities as ETH Zurich, The College of Architecture and Urban Planning of Tongji University, l’Ecole Nationale d’Architecture in Rabat or AEDES Gallery in Berlin.